Foot pronation is an important concept to understand if you are a runner. 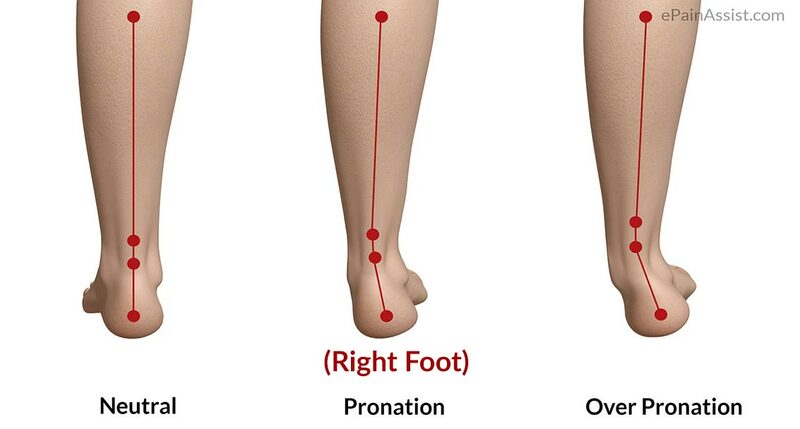 When we refer to your pronation, we refer to the arch of your foot. When foot pronation is being discussed, you may also hear the words “overpronation”, “normal pronation” and “underpronation”. With normal foot pronation, you have a normal arch and an experienced podiatrist will call you a normal pronator. In terms of running, this means you will do best in a shoe that offers only moderate pronation control. What is normal foot pronation? Pronation is the rolling in of the foot, and it is a critical movement to absorb shocks properly when you run (or walk). And the end of every gait cycle, you push off evenly, on the front of your foot. When we analyse your gait with a biomechanical assessment, we look at how the impact forces are distributed when you run. In a normal situation, the foot first “rolls” inwards, and then outwards as your heel lifts off the ground, and that’s how it supports your body weight with every step you take. What if my foot pronation isn’t really normal? After a biomechanical assessment at The Foot Clinic, you may learn that you overpronate, or your timing of pronation is wrong, for example when you are diagnosed with flat feet. In this situation we may discuss specific exercises to modify the pronation of your feet, and we will help you choose the right footwear for your regular workouts. It’s essential that you wear shoes that help you with normal pronation. If you are a high-arched runner, you will learn that you underpronate. In this case a neutral-cushioned shoe may be recommended, to encourage a more natural foot motion. As a runner you will know that your feet need good care all the time, and proper foot healthcare looks at the bigger picture. Your feet are connected to the function of your knees, hips and lower back, and as podiatrists we build better bodies from your feet up. At The Foot Clinic, our team of experienced, enthusiastic and highly qualified podiatrists has worked with numerous professional sports athletes and recreational sport lovers. We will be happy to assess your foot pronation, provide advice on useful exercises to adjust anything that sits outside the normal range, and help you with the choice of footwear depending on how, when and where you run. So if you have any questions about foot pronation, please come and see us at The Foot Clinic in Cottesloe Central. Another condition to be aware of with foot pronation is flat feet. Read more about flat feet and how we use a biomechanical assessment to help treat foot pronation.